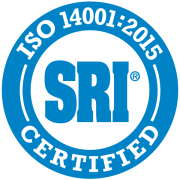 We’ve taken our commitment to the next level through the work we’ve done to attain the difficult ISO 14001 certification. We are proud to prioritize environmental concerns when we plan investments, manage our energy use, and monitor our emissions. In many ways, being an environmentally responsible company is just good business. All of us want to reduce waste and be efficient with our materials and the energy we use to power our plants. The Greer Steel Metallurgical Laboratory is recognized for successful completion of the A2LA evaluation process. Accreditation is granted for tests on plain carbon, alloy, and stainless steels.